Not unlike other professions, the field of masonry has it’s own specialized tools, specifically made for our trade, Tuckpointing. The most basic equipment and tools are familiar to most. Using a Wheelbarrow and hoe to mix the mortar or shovels and brooms for cleaning up, people generally know what they are looking at when they see this kind of stuff. Though, these tools are stamped out and massed produced by companies like Bon Tools, Marshalltown and others, the best quality, and most used by pointers in St. Louis, are hand forged jointers by local blacksmiths. 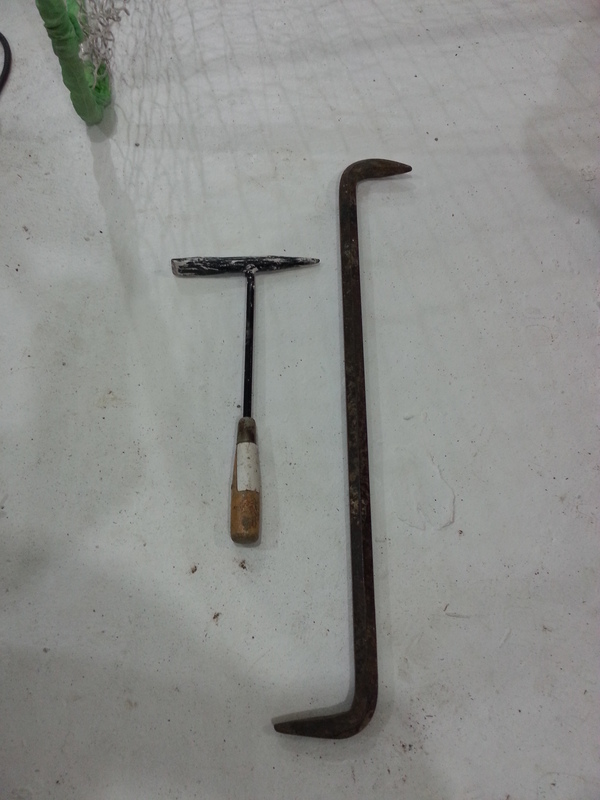 The picture above shows some of our tuckpointers’ personal tools used for pointing. Painting of the handles is a common practice to identify ownership, size or style of jointer (I prefer taping my handles). Below is a list of the most common jointers used in the tuckpointing trade. The joints created(with benefits and drawbacks) with each tool can be seen at our mortar joint styles article. The most popular jointer, This style jointer will be found in all tuckpointers’ tool bags in many sizes ranging from 1/8″ to 1″. The 2nd most popular jointer, this too will be found in a variety of sizes in most tuck pointers tool bags. Used for decorative joints, on stone more than anything this style requires a little more finesse and skill to handle than the average concave or flat style jointer. This style creates a half rope looking joint that extends outward from the wall. Similar to the convex in that it creates a 3 dimensional joint extending past the wall, it also requires the same level of skill as using convex (Very developed skill). 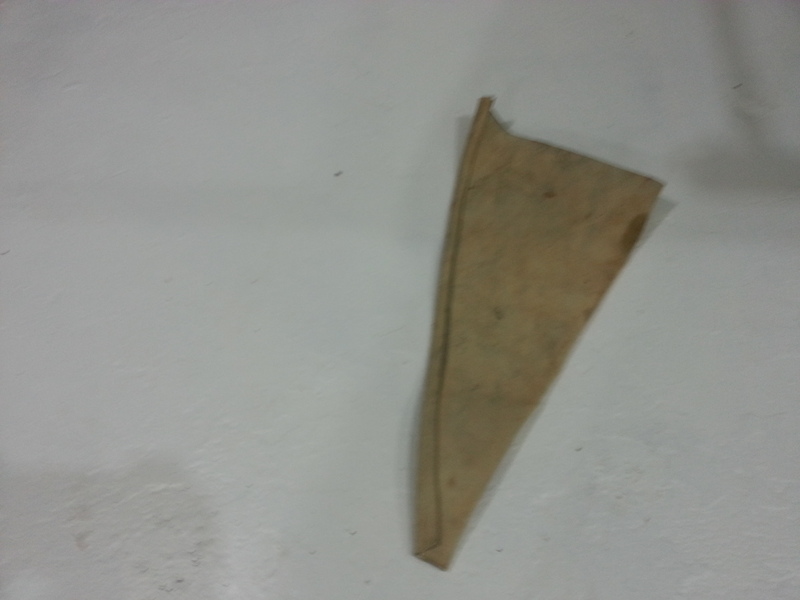 The joint looks like a rectangular box or ribbon extending outward from the wall. Less used for tuckpointing and more or striking a finish onto the joint, the Grapevine jointer is used to create a small concave joint into a larger flat joint. Like the Grapevine jointer, this tool is also used to strike a “weathered joint” into and already pointed wall before the mortar cures. Side Note: Other parts of the country skip the use of jointers for tuckpointing all together and squeeze the mortar in the joints with a grout bag, then strike the work afterward with a tool to created the desired look of the joint. While this is also a developed skill, it is not how things are typically done around St. Louis. It’s easier to get sloppy using this method and can be extremely tiring on your wrists and back. Using a jointer is working smart, not hard. Raker Bars are tools forged from iron to manually remove mortar joints. Used more before grinders gained popularity in the late 1980s, these are steel bars, curved at each end (in opposite directions) and sharpened to a point require a lot of muscle and finesse in raking out the old mortar joints. Still handy for spot tuckpointing and other light duty work, these tools are also a necessity in a pointing man’s tool bag. Alternative to Raker bars? We use spring hammers/chipping hammers. A tool made for welding, we’ve found that changing out the handle and a little work with a bench grinder can make the tools perfect for quick and painless mortar joint removal. 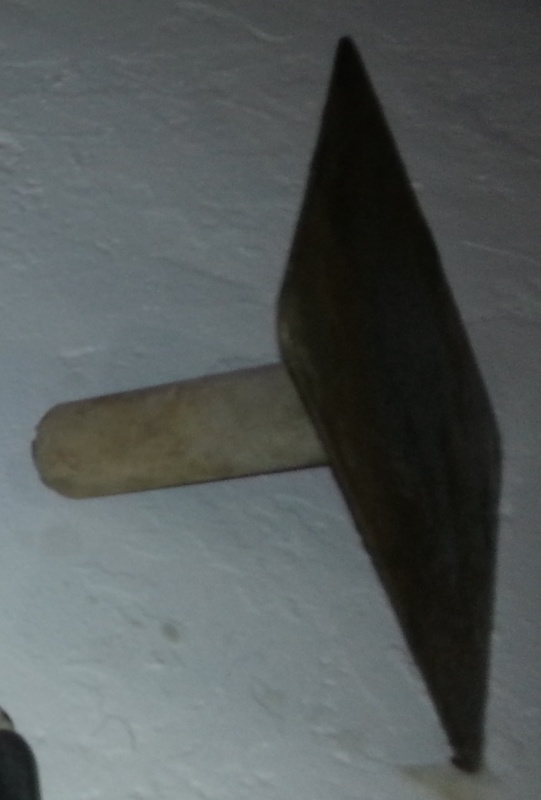 Used for holding material as it’s applied to the wall, Hawk Boards are handy tools for holding mortar. Typically constructed from Aluminum or Magnesium, I’ve also seen them produced with wood tops. Aluminum Hawks are the cheapest and tend to bend and break when used with mortar for tuckpointing and is better left to use by plasterers or drywallers mudding and taping. Wood hawk boards are made with wood tops. The constant tapping of the jointer to the board combined with excessive exposure to water (ie wet material) these board are prone to warping, cracking, splitting or swelling. Not a preference of mine. Magnesium Hawk boards are the most durable, strongest, long-lasting mortar boards available. Enduring daily use, these boards will last many years before needing replaced, when cleaned and treated properly. Even at nearly double the price of aluminum boards, It is money very well spent. 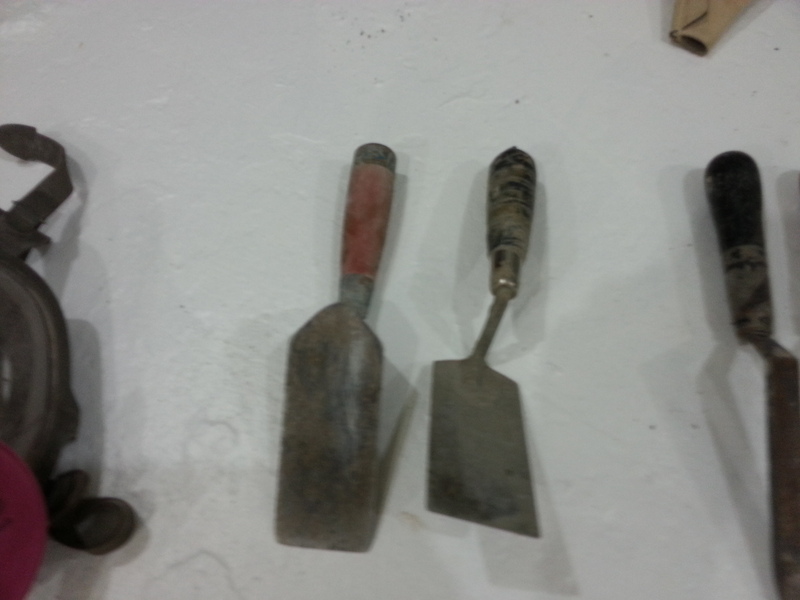 Available in many shapes and sizes, the most common would be the Margin Trowel (5″ x 2″). More often referred to, by us, as a bucket trowel, we use this tool to scoop the mixed mortar on to the hawk board for pointing. 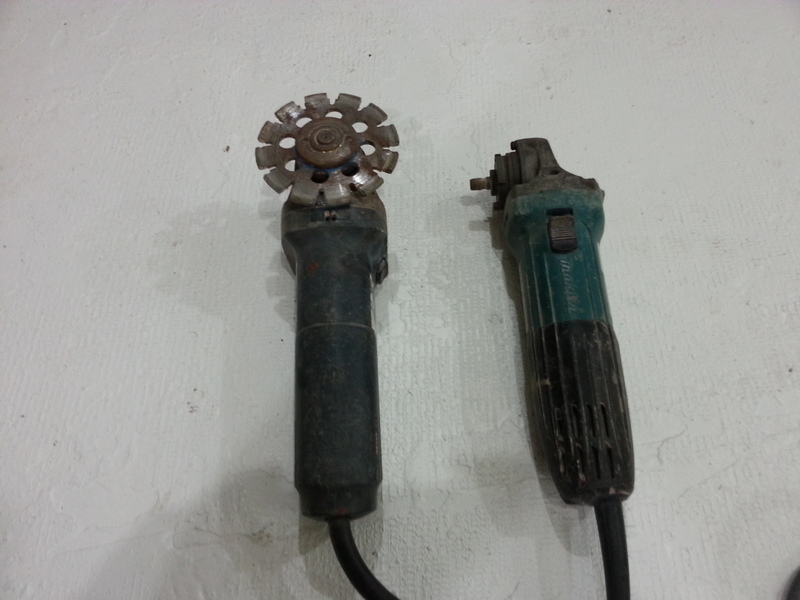 Other trowels used in the trade include other sizes of margin trowels, brick trowels and concrete trowels, Used mostly, by our company, for chimney caps as well as light concrete work. 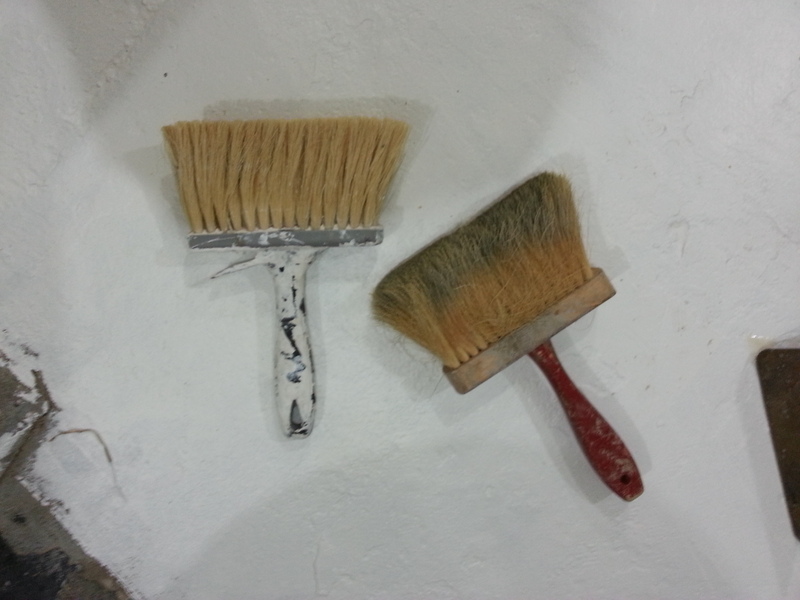 Made from synthetic horse hair and other materials, masonry brushes are used to clean work or create specific finishes. They are available in varying shapes and sizes for different applications. To the left is a picture of the most common masonry brushed used during the tuckpointing process. Used for cutting brick or removal (grinding) of mortar joints, grinders and saws are essential tools in the tuckpointing trade. Typically these powered cutters are equipped with diamond blades and can be fitted with other accessories including special guards, dust shrouds and water hoses for cooling the blade and keeping dust down. Like a powered raker bad, these tools can be real back savers when a joint needs hammered or raked out rather than grinded. 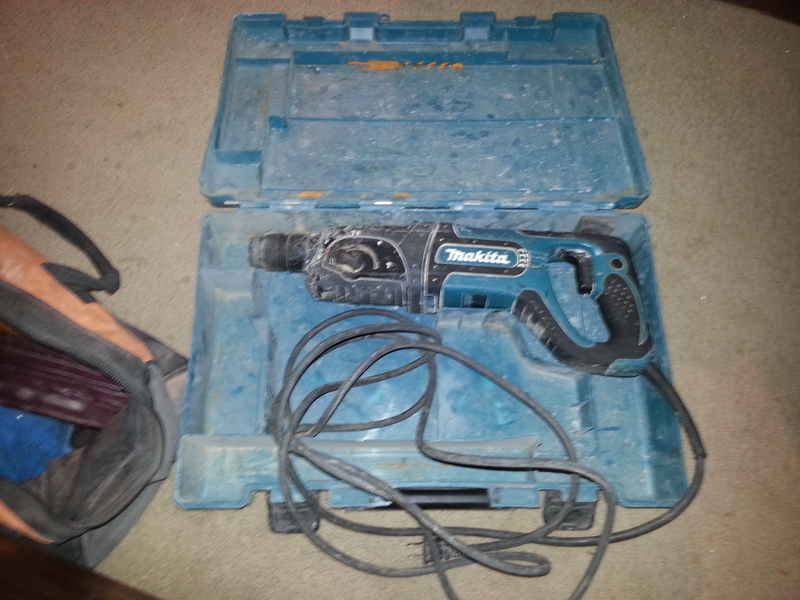 Makita strikes again for choice in best tool for the job. Our Preference for powered masonry tools (Grinders, saws and demo hammers) is Makita. They manufacture some of the most robust and lightest tools available for the masonry trade. Familiarizing you with every aspect of the trade is just another “above and beyond service” Atek offers customers who want to know. Want to know more? Check out other articles on the site, search the site or email us and ASK! Thanks for reading. Posted in St. Louis Tuckpointing & Brick Repair, Tuckpointing, pointing, re-pointing. Mortar joint Repairs and tagged block, Brick, company, pointing, repointing, St. Louis, stone, tools, trade, tuckpointing on March 17, 2014 by Jacob Thompson.